﻿ With IT administrators shifting their infrastructure to the cloud, identity management must shift as well. This shift happens when we take identity management out of the office, traditionally encapsulated within an on-prem Microsoft® Active Directory® (MAD or AD) implementation, and into the cloud. Typically, users needed to be in the building to access digital assets, and those assets also needed to be stored locally as well. But, we know that people from all around the globe need to access these digital resources — from traveling and remote users to contractors. Users also travel with non-Windows® devices, like Mac® laptops, which Active Directory makes difficult to support. So, is there a hosted cloud Active Directory alternative worth exploring that could better fit the realities of modern working life? 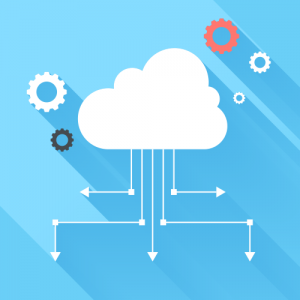 Yes, there is a hosted cloud Active Directory-like solution that could better fit the needs of both users working from around the globe and offices that aren’t filled with Windows machines and applications, but IT resources that are in the cloud. But, this solution is not provided by Microsoft. Even though Microsoft introduced Azure® Active Directory as a cloud identity management solution for Office 365™ and Azure, it isn’t equivalent to Active Directory in the cloud. Microsoft themselves admits that Azure Active Directory acts as a complement to the on-prem directory services solution they’ve already built. Azure Active Directory ultimately ends up being a first-generation Identity-as-a-Service (IDaaS) solution with user management for Azure and web application single sign-on. If Azure AD isn’t the cloud-based alternative to on-prem AD, then what is? A new generation of cloud directory services are emerging which aren’t merely a complement to expensive on-prem solutions from Microsoft. These next generation cloud identity management platforms are really a cloud hosted replacement to Active Directory that better fits the needs of users and admins. One cloud IAM solution is provided by JumpCloud and is called Directory-as-a-Service®. This service is platform agnostic, meaning it will play nicely with machines of all platforms like Windows, Mac, and Linux®, providers such as AWS, GCP, and Azure, and productivity solutions such as G Suite™ and Office 365. System admins can now reign in those Mac machines that have previously gone unmanaged, and stop fighting with Linux machines that tend to have trouble integrating into AD. And, organizations don’t have to be locked in to Microsoft solutions such as Office 365, but rather can explore whether G Suite may be a better fit. JumpCloud Directory-as-a-Service is independent and eager to work with all platforms and providers regardless of their location or protocol. Platforms alone do not constitute the entirety of why a cloud-based directory service is needed. JumpCloud Directory-as-a-Service can connect users to a multitude of IT resources like web and legacy applications via SAML and LDAP, cloud and on-prem servers (e.g. AWS®, GCP, Azure), file servers both in the cloud and on-prem (Samba file servers, NAS appliances, Box™, Google Drive™, etc.) and wired and WiFi networks through RADIUS. This gives admins the ability to control not just what types of systems can access IT resources, but what protocols and services those machines can leverage. 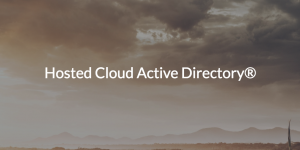 JumpCloud Directory-as-a-Service is clearly a suitable replacement for hosted cloud Active Directory. If the JumpCloud Directory-as-a-Service IAM platform seems like a suitable fit for you and your evolving organization, give it a try for free. It’s a hosted cloud Active Directory solution for the modern world. Feel free to contact us with any questions you may have, or check out our YouTube channel to watch whiteboard videos and tutorials or learn about best practices.